Are You Choosing Your Own Life or Drowning with People Who Take It? 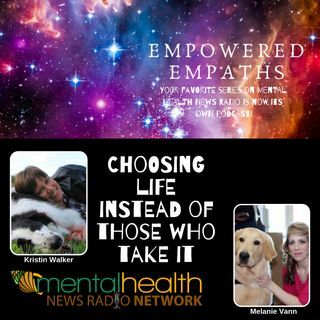 Join our host, Kristin Sunanta Walker and Melanie Vann as they discuss what it means to live a life that gives instead of one that takes. This not only means choosing healthy relationships, but also choosing self-care, choosing to feed your soul, and choosing to live an abundant life instead of a life of just surviving. Join them for this empowering show to get tips on how to tell the difference between life giving things and life taking; as well as taking a look at what it takes to actually ... See More live the life you want instead of just living the one that is handed to you!